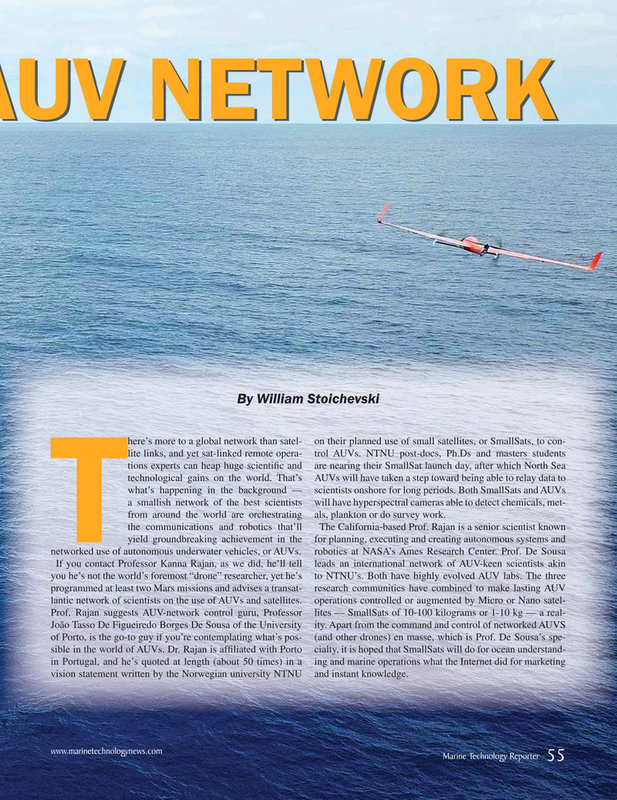 By William Stoichevski here’s more to a global network than satel- on their planned use of small satellites, or SmallSats, to con- lite links, and yet sat-linked remote opera- trol AUVs. NTNU post-docs, Ph.Ds and masters students tions experts can heap huge scienti? c and are nearing their SmallSat launch day, after which North Sea technological gains on the world. That’s AUVs will have taken a step toward being able to relay data to what’s happening in the background — scientists onshore for long periods. Both SmallSats and AUVs a smallish network of the best scientists will have hyperspectral cameras able to detect chemicals, met- from around the world are orchestrating als, plankton or do survey work.